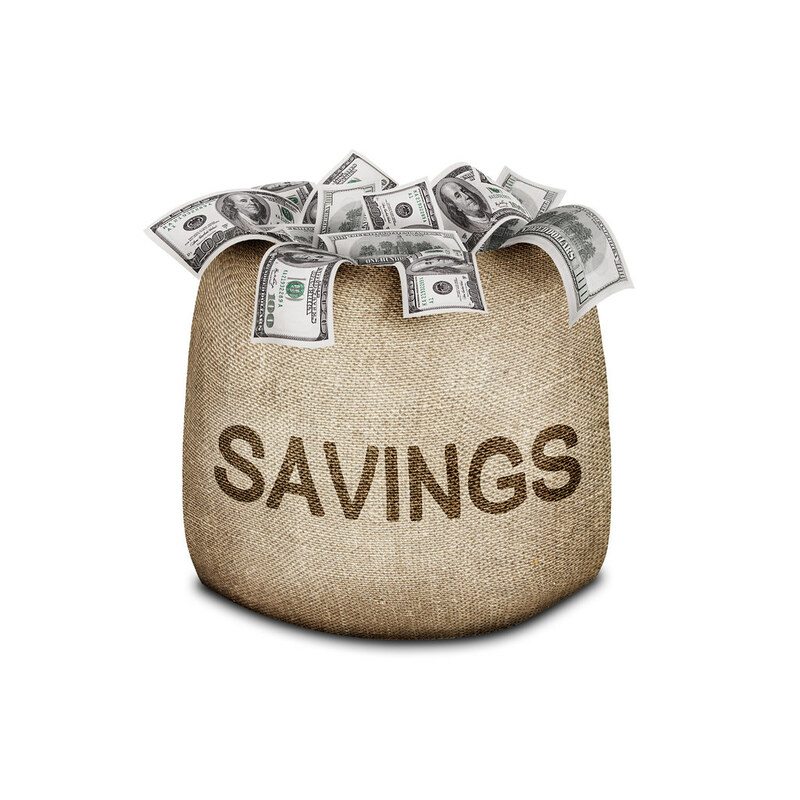 Savings and the accounts they are, well, saved in are a massive deal. They are the things that individuals put their trust in to see that their financial future, and the financial future of their family and children, is as strong and as stress-free as can be. It is for this reason, then, why savings accounts must be protected at all times. Specifically, it is for this reason why the money within them must be protected at all times and stopped from falling into the wrong hands. For advice on how to safeguard your savings fervently, make sure to read on. Simply, you must know as much as you can about the provider of your savings account as well as where they are saving your money, how they are saving it and exactly what kinds of interest is being attached to it. Even if this means going out of your way to do extensive research on the matter because you have taken out various accounts across many providers, simply do it. So, make sure you always have a clear understanding of exactly who it is that is saving your money and playing such an important role in your financial life. Not doing so will surely spell some sort of disaster somewhere down the line. Of course, straight up thievery and burglary should still be your main cause for concern when it comes to safeguarding your savings and your financial life in general. Yes, thievery still poses, as it always has done and probably always will do, the biggest threat to the money that we stack and save. So, make sure your savings are not only safeguarded against it in as fervent a fashion as possible, but make sure they are safeguarded against at all conceivable moments (because thieves don’t sleep). The first that you should do to deter all of those reprobates out there that are desperate to get their grubby hands on your savings is to make absolute sure that all of your personal data, which also means any innocuous documents that may contain even the slightest hint of your personal data, is either as protected as it can be at all times or is destroyed as soon as it becomes futile. You need to do this because in the technologically enhanced world that we live in, plus the fact that so many people (even low life thieves) are so gifted when it comes to using modern technology, there are always going to be ways for your data to be used and subsequently there are always going to be ways for your savings accounts to be broken into. For instance, if your data were to be made accessible to a thief that is well versed in identity theft then your identity could be and would be tapped into in the blink of an eye; if this were to happen, who would there to be stop the thief running riot with your identity and drawing out all of your saved money? So, with all that being said, just make sure all of your personal data is never made accessible to anyone other than yourself or others that your wholeheartedly trust to not abuse it — this means doing things like keeping the devices that store your data safe at all times and this means shredding documents that contain pieces of vital information regarding your data, to name just a few. Something else that you should do to deter thieves that may be sniffing around your savings pot as best you can is to never flaunt the fact that you actually have a savings account and to never flaunt any money that you withdraw from it. Doing so by, say, mentioning your financial capabilities online via social media, will make you and your saved money an easy target for thieves. So, fight that urge to flaunt and keep ALL information about your saved money on a need-to-know basis! Always make sure your savings are protected from lawful taking. The straight up and direct stealing of your savings from low-life criminals isn’t the only type of thievery that you should be safeguarding your savings against. No, something else that you need to be protecting your savings from is what is known as lawful taking. This kind of taking, which is not deemed illegal but still consists of your money being taken and then falling into the wrong hands, simply involves your money being taken by your government. Yes, this happens, and therefore your savings accounts need to be protected against it. One area of personal finance and the world of savings accounts in which lawful taking is rife is that that takes places after a saver has passed. Yes, after an individual who had a savings account in their life and managed to accrue a great amount of saved money within it passes there is always going to be a chance that his or her local government will try to lawfully take the money and put it back into the state. And, as previously mentioned, this is completely legal — but, legal or not, would you want it happening to you? Would you want your hard-saved money to end up in the hands of anybody but the family and loves ones, or even the charity of your choosing, that you leave behind? No, you wouldn’t, so you need to protect your savings against this lawful taking after your passing by writing out your will before you do pass. Yes, writing your will is the best way to protect your savings from beyond the grave because it will stand as a legally bound document drawn up with your permission and in your honour to dictate exactly where you want your money to be going. So, make sure you do it! And, if doing it seems like too daunting a task for you then make sure to get in touch with a professional will writing company, such as Legacy Wills, who will help you every step of the way in regards to it. Seriously, those that you leave behind in life will thank you if you do. Saving your savings from falling into the wrong hands is something that you should always be trying your best to do, so make sure that is the case! You might find it pretty shocking to hear that around nine million Americans have their identity stolen each year. That is a pretty large number of people, so could you be next? A lot of the time there are things that we could be doing to avoid this. It is not right for someone wandering around pretending to be you; not right at all. So in order to make more of a conscious effort to protect your identity, here are some steps that you can take. In the US, a social security number is what you need to avoid others knowing. Don’t keep it in your wallet or share it with other people. The same goes for things like passports and banking details. Keep them somewhere secure, rather than having them accessible to others. Look to get ID documents that will have your biometrics on, like the Indian e-Aadhar card, for example. Those kinds of ID are much harder to defraud. Even if you live alone and don’t share your computer, you should be locking out of sites and programs and changing your passwords regularly. Choose passwords that are more safe, such as random words, rather than meaningful ones like your mother’s maiden name. If you have cards or bank accounts that you simply do not use anymore, then cut up the cards into small pieces and cancel the accounts. Doing this often will help to protect you from identity fraud. Although it can feel like a nuisance to keep receipts and bills, it is so important to check on. If you check your bills and bank statements regularly, and match them to your spending, you can easily identify if people have used your card or found the details online. So check them closely and report any suspicious activity. There are many hackers that want to easily steal your information online. And if you don’t have any virus or malware protection software in place, then it can make it really easy for people to steal from you or take your online data. So get the software and regularly check it. It also pays to only use secure sites that have https in the address bar when buying things, rather than just http. If you get a letter through the mail that isn’t any use or something you don’t need; don’t just throw it in the bin. Shred it. Even from a letter, you don’t need, it will have your name and address clearly printed on it. So shred any documents that you don’t need. Bank statements, payslips, or even insurance letters. If you no longer need them, make sure that you shred them. Taking advantage of a free credit report is a good way to spot anything untoward. If someone has tried to apply for a credit card in your name, then it would show up on there. So check this regularly and report anything that wasn’t done by you. Should I Teach My Kids About Identity Theft? We’re hearing more and more about identity theft these days. But it’s rare that we consider our children when thinking about the subject. But, whether you have a child who is using the Internet or not, it is still something you should approach with all your family. In today’s guide, we’re going to take a look at why it is so important. We’ll also suggest a few ways you can teach them about how to keep their personal information safe. It doesn’t compute, does it? Surely no one – even a criminal – would take a child’s identity for nefarious means? Sadly, it’s far from the case. There are several reasons why someone might want to get hold of your kid’s identity – and it could be a goldmine for them. With a social security number, they can apply for a passport or another type of ID card. They could set up a bank account, or even apply for a credit card. And worst of all, they can use a child’s ID to snoop on them, which could put your kids at risk. Don’t forget that more kids than ever are now using social networks, emails, and own phones. It doesn’t take much to find out a lot about your child if someone got their hands on a phone. They could have access to sensitive pictures or messages, and use that information to blackmail your child. They could use your child’s identity to befriend another kid, and encourage them to do something dangerous. And, of course, there is a lot of information you can glean from the data left in photos posted on social networks. So, don’t underestimate the importance of talking about identity theft with your children. There are many ways it can affect them – and you. Let’s take a look at some of the things you need to consider when exploring identity theft with your sons and daughters. Of course, before you start teaching your child about identity theft, you’ll need to arm yourself with the knowledge. The sad truth is that many adults aren’t even aware of the danger they can sometimes leave themselves exposed to. With this in mind, here’s some tips to prevent identity theft that you need to follow. Start by ensuring that you follow the basic rule of protection – having a robust and secure password, for instance. It’s important to set a good example for your kids if you want them to follow suit. You should also invest the time to find a robust and reliable cyber security program. You don’t have to spend a fortune – there are many fantastic products out there for free. Finally, never by anything from an unsecured online store. The risk of a hacker getting hold of your financial information is just too great. Once you start following the guidelines above, it will be much easier to teach your kids to do the same. The idea is to make these simple rules a habit. When you sign up for a service, you always create a new password. Only pay for goods when you are on a secure WiFi channel. If you start quizzing your kids about the differences between a secure and insecure website, they will soon pick it up. Don’t forget; the chances are that your child will end up a lot safer online than you have ever been. It’s much easier to pick up these habits when you are young. The final lesson is to explain the dangers of the Internet. Kids these days spend a long time online – they even use it in schools. The trouble is, it’s like second nature to them. They are unable to see the dangers of talking with strangers or sharing information online – unless you explain them. Speak to them about how easy it is for people to give up valuable information to others while online. Use some examples – you might try sharing a picture on your account and seeing how far it can travel. Try to avoid frightening your child, however. You don’t want to teach your child that the world is a scarier place than it is. It is vital to keep things positive. As you can see, it is imperative that you teach your children about the dangers of identity theft. By giving them knowledge at an early stage, their behavior will become habitual. Your kids will be careful, and understand when – and where – there are potential risks.